Heaven 17’s finest moment, Temptation has a split personality: sometimes, it’s the 1983 UK number-two original with Glenn Gregory duelling with Carole Kenyon (as performed on Top Of The Pops’ 1,000th edition). At other times, it’s the 1992 Brothers In Rhythm Mix, which peaked at number four. And sometimes, it’s a slowed-down, Soft Cell-esque electronic beast with either La Roux or Claudia Brücken replacing Kenyon’s wails with a sinister growl. Just when we thought the mid-Eighties period of big, arty chart pop was set to subside, dragging Go West off into soul territory and Tears For Fears off into eternal introspection, along came King. 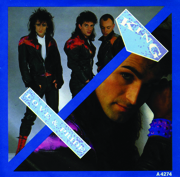 The group had already released Love And Pride in April 1984, but no one had noticed. Two flops later and a second release for the single reached number two in the UK. The group’s short-lived reign of “multi-tone” – their reaction to 2 Tone – was off and running. 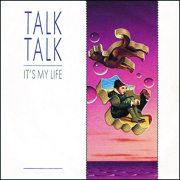 The only Talk Talk single to make our chart was not – somewhat surprisingly – from their much-lauded, post-Top Of The Pops albums like Laughing Stock or Spirit Of Eden, but from the height of their alt.Duran era. Rising above even Life’s What You Make It, It’s My Life was clearly their most catchy and fondly remembered single – especially in America, where it was revitalised as a Top 10 hit by Gwen Stefani and No Doubt in 2003. 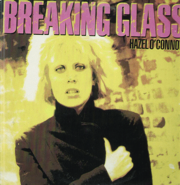 It’s since become her anthem but the brooding Will You was actually Hazel O’Connor’s third Top 10 hit in the UK (following April 1980’s Eighth Day and March 1981’s D-Days) – although it also turned out to be her last genuine assault on the charts. It was the main track from a film in which she also starred, Breaking Glass, that also featured Quadrophenia’s Phil Daniels and Jonathan Pryce, and was produced by none other than Dodi Fayed. 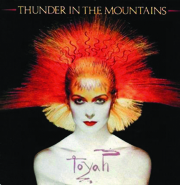 Toyah had a run of eight UK chart hits from 1981 to 1985 and, joint with It’s A Mystery, this was the biggest, reaching number four in 1981. Toyah’s since become a mainstay of daytime TV and panel shows, but a quick YouTube look at Godley & Creme’s video for this song is a reminder of just how freaky and powerful she was in those days, appearing as a flash-forward to the era of Florence, Marina and Paloma.